Here we collect and share quick, short-term (or long-term) volunteer ideas on how your Courageous Girls Club can help individuals in need or offer support for nonprofit organizations who are serving the most vulnerable and responding to current emergencies. Our focus is especially on projects through which our Courageous Girls can master new skills and practice working with different kinds of tools. Pick from the options below, or find your own opportunities that your Courageous Girls are most interested in. HAND IN HAND FOR SYRIA Fundraise for Hand in Hand for Syria so that they can continue to provide medical and humanitarian aid through their extensive networks on the ground in Syria. They provide medical aid; food aid; educational materials; water, sanitation and hygiene programs; community projects; and more. KARAM FOUNDATION Work together with the Karam Foundation, and help provide support and education for refugee families in need. Every refugee family who joins the program will receive a monthly stipend on the condition that they send their children to school. You can also help their #Milk4Syria project which ensures that communities inside Syria have a stable and consistent supply of infant formula each month. In addition, you can support the While Helmets, who are the emergency responder heroes of Syria, as well as donate to food distribution and/or winter relief. SHELTER BOX Shelter Box provides emergency shelter and vital supplies to support communities around the world overwhelmed by disaster and humanitarian crisis. UNICEF UNICEF and its partners are delivering essential services for Syrian families and keeping Syrian children from becoming a 'lost generation.' Critical efforts are being made to minimize the impact of the crisis on the children - including the life-saving areas of health, nutrition, immunization, water and sanitation, as well as education and child protection. Make a Jared Box to benefit children at your local hospital A Jared Box is a plastic storage box filled with small gifts, toys, games, arts and crafts, and fun activities. Each box contains items selected for a specific age and gender. The boxes are delivered to hospitals. Jared Boxes provide a special diversion for young patients in emergency rooms, patient rooms, surgical centers, and clinics as they receive chemotherapy and other medical treatments. Jared Boxes bring smiles and laughter and lift the spirits of children in the hospital. 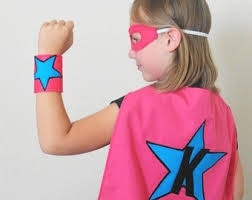 Make a cape for sick children and turn them into Superheroes! Sew or No-Sew, it's up to you! Brave, Strong, Resilient... all words used to describe our favorite comic book heroes, but they are also words used to describe the little heroes who enter children's hospitals each day. Your cape will create a HEROINE or a HERO, first within yourself and then to the caped crusader sitting on her/his hospital bed. Help throw a birthday party for homeless children Bring joy to homeless children through the magic of birthdays! The theme parties are complete with all children enjoying activities and crafts, decorations, games, cupcakes, party favors, and some awesome volunteers. Make blankets for children in need or who are in hospitals Provide love, a sense of security, warmth and comfort to children who are seriously ill, traumatized, or otherwise in need through the gifts of new, handmade blankets and afghans, lovingly created by volunteer "blanketeers." Fundraise and/or donate to your local Ronald McDonald House Many families have to travel far from home to get treatment for their seriously ill or injured children. A Ronald McDonald House is that "home-away-from-home" for families so they can stay close by their hospitalized child at little or no cost. Ronald McDonald Houses are always in need of new toys, books, food items and volunteers, so check out your nearest chapter for how best to help out! Help deliver nutritious meals to seniors in need By donating your lunch break, whether during the week or on the weekend, you can help the Meals on Wheels program in your community to reach the 1 in 6 seniors who might not know where their next meal is coming from. Bring your Courageous Girl(s) along, and let them bring some cheer, conversation, and maybe even decorate a place mat or two to brighten a senior's day.